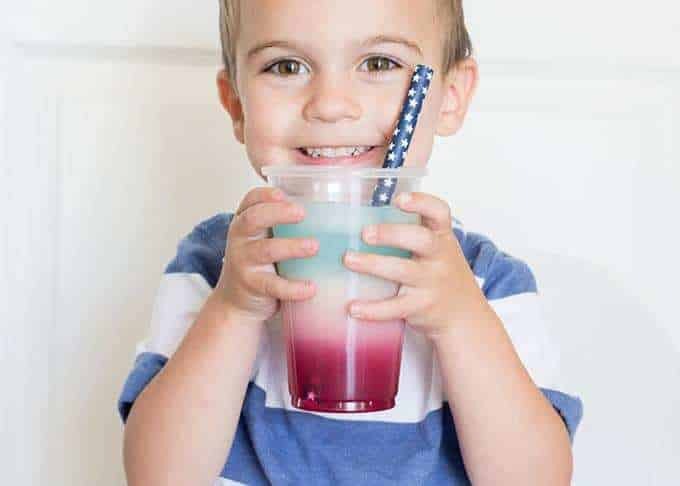 9 Fun & Festive Fourth of July Recipes To Try - So Festive! 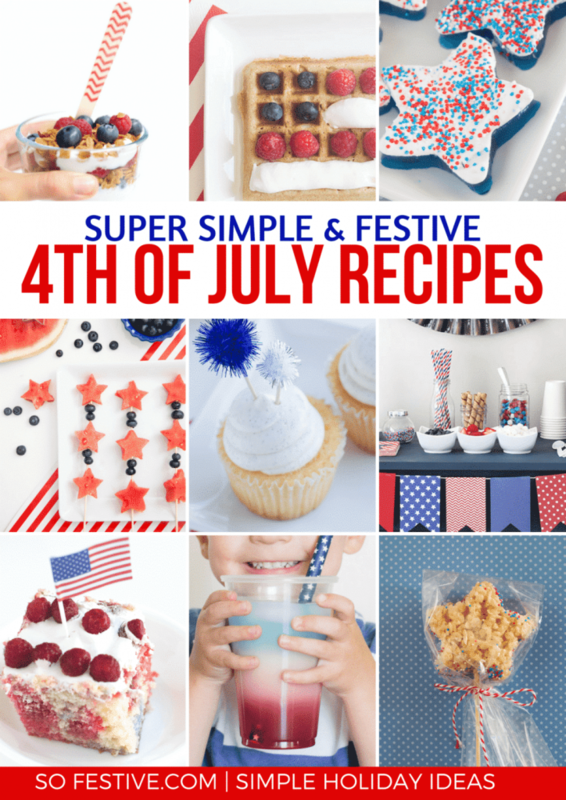 A round-up of super simple Fourth of July recipes! 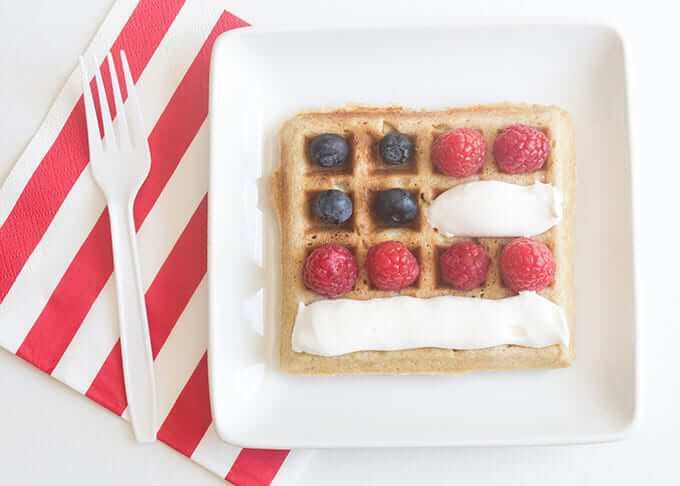 You don’t have to spend hours to make festive food for the Fourth! Yippee! 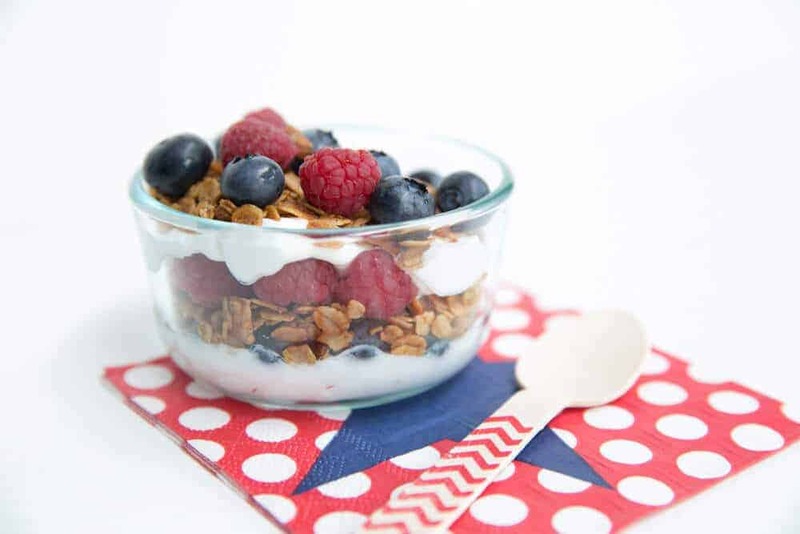 Celebrate the Fourth of July with these Dynamite Recipes! 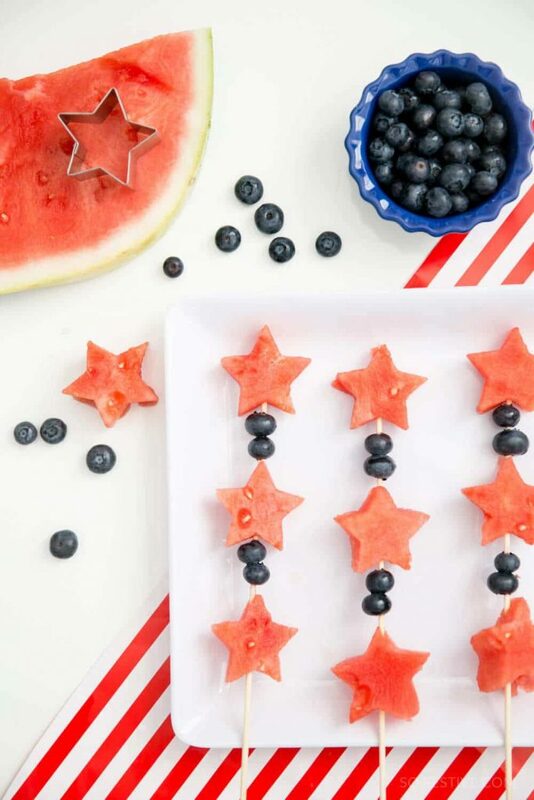 Looking for some super simple, but festive food ideas for the Fourth of July? I’ve got you covered! From breakfast to firework treats and everything in between, you’re sure to find something you’ll love! 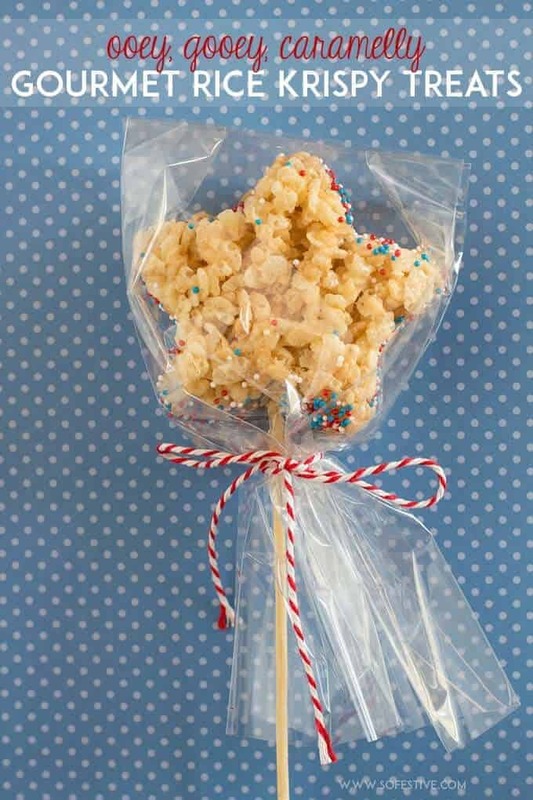 This fun treat is easy enough for kids to make! Get the recipe here. A refreshing snack or simple side dish. Get my best tips for making these here. 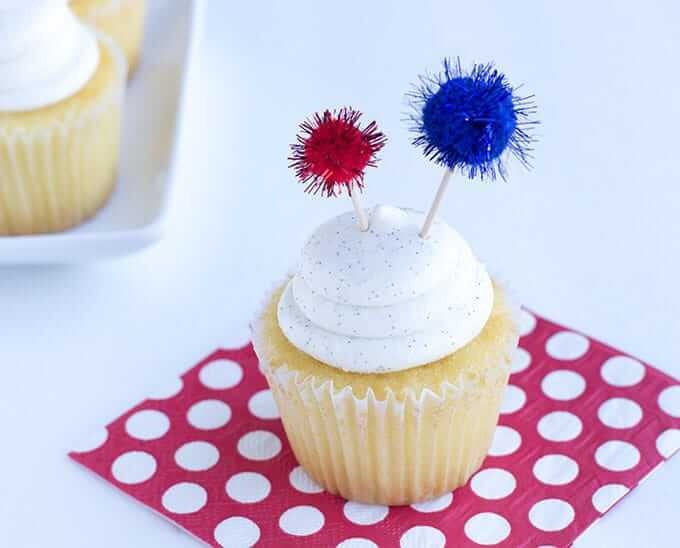 See how to make these simple firework cupcake toppers here. 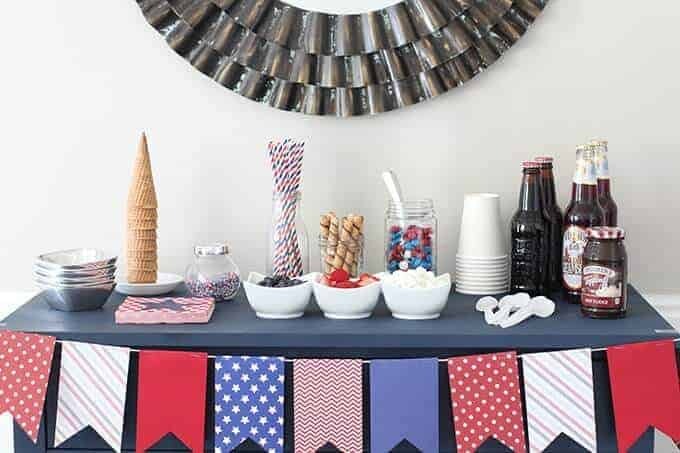 Cool off with a sundae, Fourth of July style! 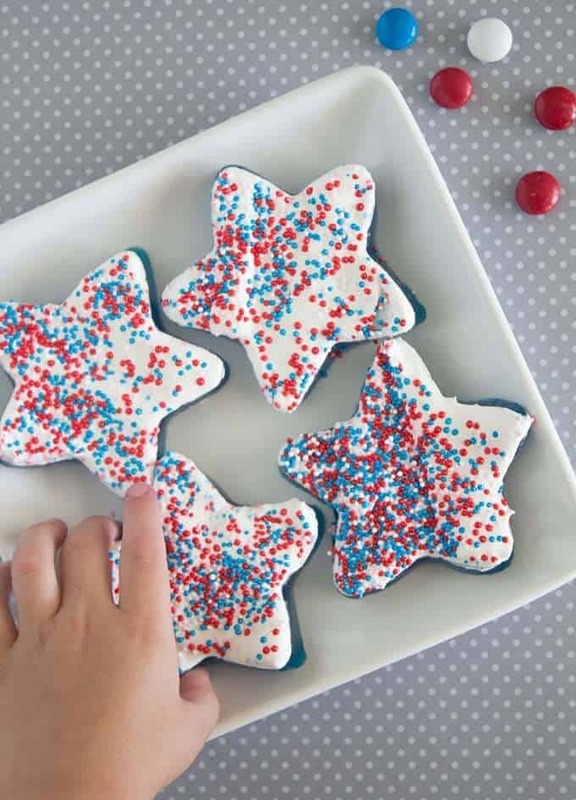 See all the patriotic topping ideas here. 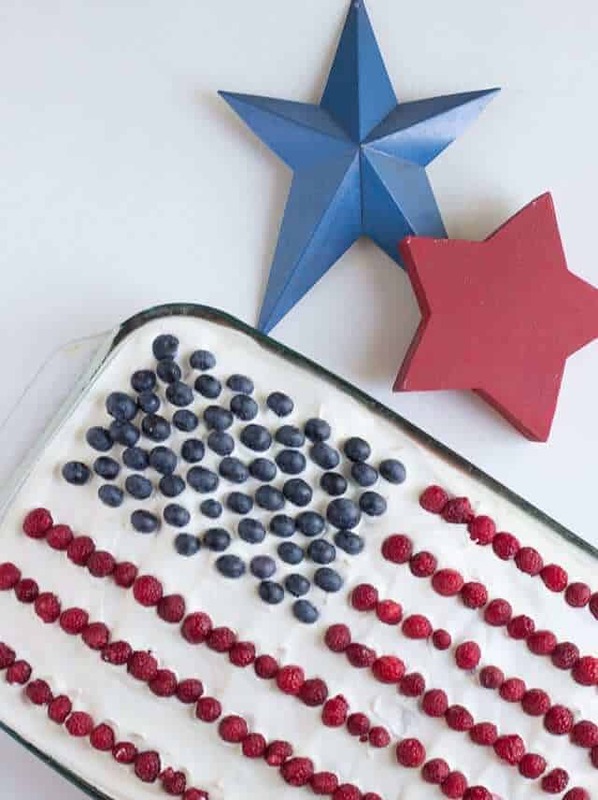 With a secret ingredient, this cake is extra flavorful and patriotic! Get the recipe here. Aka…the best, gourmet Rice Krispies you’ll ever eat. Get the recipe here. If a 4th Of July BBQ is on your agenda, you’ll also love these recipes!